After the majestic success of The Witcher 3: Wild Hunt game, the legacy of entertainment will continue with the launch of The Witcher 4 – which is not yet decided. 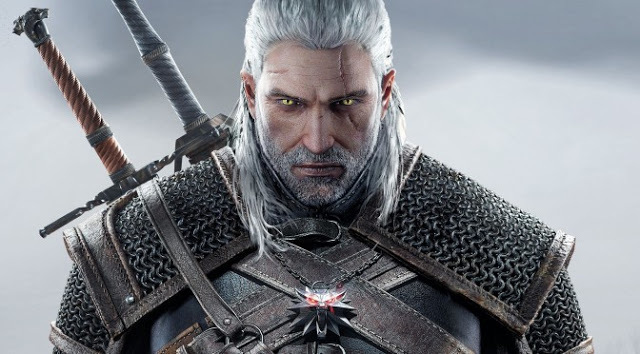 Nevertheless, fans are excited to know more and more about The Witcher 4, Though CD Projekt Red is not sharing anything linked to The Witcher 4, some information has leaked from the secret sources inside the developers. CD Projekt Red tend to listen to their fans while developing new version, same is here in the case of The Witcher 4. Let’s give a look to those features which are expected to come in The Witcher 4 game – as suggested by fans. The game will come with more Witcher sets which will enable players to choose from a variety of armors and gain extra strength. Blacksmith will become more relevant in crafting the new armor, unlike the previous game where non-Witcher armor was incompetent. The role of blacksmith will be enhanced in The Witcher 4 in terms of weapon craft. The game will introduce with refinement of battle arena. Lots of authentic animation will be added specifically in the player’s movement which will give him more weight on the combat zone and will make easier for the player to control and respond. Choose your action and swiftly proceed on it. The approach of killing each monster will be different. One cannot simply fight with the monsters and kill every one of them with the same strategy and weapon. The Witcher 4 will bring unique creatures or hybridized beasts that will require every time new approaches to bring them down. One will require a complete strategy to open up their weak spots n order to kill them. The story of the previous sequel was one of the best with amazing characters in the open world and sometimes we think of certain memorable quests which we would really like to replay, but could not do in between the game. This could be done in The Witcher 4; this mode will be linked with the protagonist’s mind as an extension of the Meditation menu. Thoughts will flash into his mind that can make him to replay the same. That way, it will affect overall progress or the main story. In the previous game it was very difficult to find out each and every gear by itself without any hint, as this time CD Projekt are going to include several new armor sets and secret weapons, finding things will get tougher. To make it bit easy for players they will give gear guide in The Witcher 4 that will provide ideas of direction to move on every step in order to ascertain the Witcher gear. There are several other features also which will be included into The Witcher 4, as CD Projekt has not officially announced about all those, currently these five features have been told to be added into the next game. So this is sure we will see these improvements in the coming game, but more excitedly everybody is waiting for the name who will replace Geralt of Rivia. What do you think, who would do? The website thewitcher4news.com reported, The Witcher CEO Adam Kicinski has stated that the “franchise will be continued.” and the game is expected to release somewhere around 2018. What more features would you like to see in The Witcher 4? You can share with us in the comment section.